Chacun A Son Gout From Die Fledermaus, Composed by Johann Strauss Jr.
Emperor Waltz Composed by Johann Strauss Jr. Kiss Waltz Composed by Johann Strauss Jr. Roses From The South Composed by Johann Strauss Jr.
Vienna Life Composed by Johann Strauss Jr.
Voices Of Spring Composed by Johann Strauss Jr.
Wine, Women And Song Composed by Johann Strauss Jr. 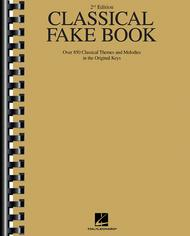 This book has excellent excerpts from many great classical works including Greig. not studied music seriously we can experience a great step into Classical Music. 66 of 146 people found this review helpful. August 07, 2008 Available no where else. Many of the works are available no where else, such as Hearts and Flowers by Tobani. Most can automatically be played on woodwinds and strings as a solo. Chords are provided for keyboards to work out. 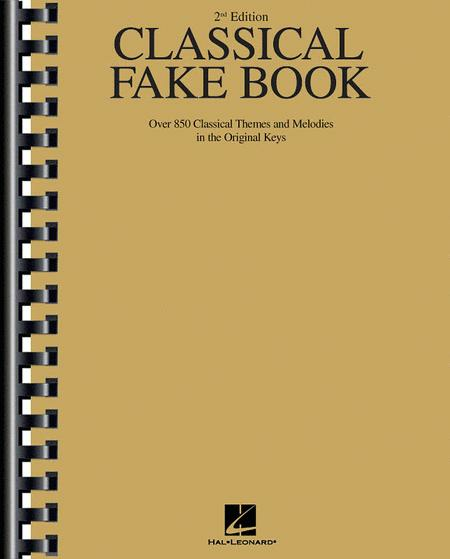 This book has almost every classical title you can possibly want. 68 of 137 people found this review helpful. Please do yourself a favor and buy this wonderful book. I enjoy it immensely. 75 of 142 people found this review helpful. necessarily the melody in any given case (for example in the case of fugues) Sort of defeats the purpose. Add to that that there are numerous errors in notation throughout, both in terms of actual wrong notes and wrong durations. (From pieces I have known and loved down through the years) Most disappointing ! I dipped into the book once and haven't opened it again - a shame for something I could not wait to arrive. It was a big letdown. 82 of 166 people found this review helpful.